Ubuntu 6.06 LTS starting hitting the mirrors yesterday, May 31, and was officially announced in the wee hours of this morning, June 1. Considering the bad luck tuxmachines had with the release candidate's hard drive install, we felt it was only fair to give Ubuntu another chance. We downloaded the desktop version, checked the md5sum, burnt our cd and booted. This is what happened this time. As described in our earlier report on the release candidate, the livecd boots up to a nice gnome desktop with a customized ubuntu wallpaper. 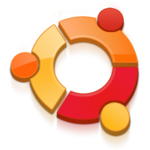 No telltale ubuntu logo this time, but it's unmistakably ubuntu. As I perused the menus and check some version numbers I detected nothing new since our last report. The menus contain many popular applications for one's computer needs, sufficient enough to get one started. Again we went through the hard drive install procedure. Actually we went through it twice, as the first time our test machine locked up pretty tight. This was a bit surprizing as we've had wonderful luck with our new test rig that our readers helped us purchased. Not to be deterred, and figuring it was our tester's fault as he was surfing the internet in firefox as the installer was running, we restarted the livecd and tried again. This time we went through the install, again as described in our earlier report. The user is asked a few elementary configuration questions, the most difficult might be the partitioning step if needed, and it installs in little time. As expected (ie: learned) it installed grub with no confirmation and then asks if the user would like to continue using the livecd or reboot to their new system. I was anxious to test a few things, most importantly the boot process itself, so I clicked reboot. Holding my breath as the beep from my system let me know it had posted, I waited to see if I could actually test Ubuntu. The bootloader paused momentarily and the boot process was off and running. Matching the livecd boot, it featured a goldish logo and progress bar with some verbose output towards the bottom of the screen. The boot of the livecd and the installed system take a bit longer than one might expect, but as long as no errors are encountered, I can live with that. None were and in time I was greeted by the gdm log in manager. I logged in and the now familiar gnome desktop, with accompanying startup sound, appeared. Whatever the previous problem, it didn't rear its head this time. We had achieve lift off. Under the hood we find a kernel 2.6.15-23, Xorg 7.0, and gcc 4.0.3 is installable. 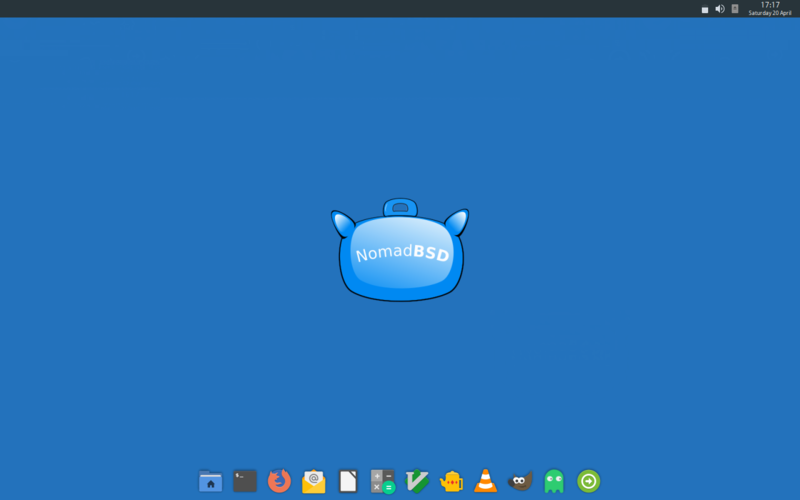 Gnome is version 2.14.1. One annoying feature of the default Ubuntu system is its mounting of all media it founds automagically. One of the things I did before the next reboot was delete all those extra entries from the /etc/fstab. Another major annoyance I have with Ubuntu is its insistence upon changing my hardware clock to UTC. Despite my graphical adjustments and reconfigurations in the time and date applet, I've yet to stop this undesirable behavior. I'm gonna have to whip out the terminal on it next boot. My next wish was to get XGL going and take some really cool screenshots. I'd just posted a link to a great looking review/howto yesterday and I pointed my browser to it. I followed the author's instructions, but alas, it was not meant to be. Perhaps you'll have better luck. Some helpful tips I did still find useful there were the installation of the nvidia drivers and compiling tools. One can either apt-get or search in Synaptic for nvidia-kernel-common, nvidia-glx, and build-essential. All in all, things went fairly well. Hardware detection was good and performance of the system was pretty good. The applications opened, functioned and closed without issue, but the system seemed a bit slow. It felt a little heavy. As I normally run KDE, I found that a bit surprizing. This condition improved after installing and starting X using the Nvidia 3d graphic drivers. The new installer is very much improved from the old Debian ascii text version found in the 5.0x series and much more "newbie" friendly. I don't like the lack of grub configuration and that needs to be addressed. Included apps might be a bit scarce, but there's plenty available through the package manager. In conclusion, Ubuntu 6.06 is a viable and worthy Linux desktop system. Submitted by zagmir on Thursday 21st of December 2006 11:40:43 AM. I have come across the website occasionally and got very interested. Found many useful materials.Looked through the archive with pleasure. Thumbs up! Submitted by srlinuxx on Thursday 21st of December 2006 04:44:43 PM. Thank you so much for saying. I've been suffering a bit of "burn out" this fall/winter, but I hope to get back on the horse soon. We hope you continue to visit. You talk the talk, but do you waddle the waddle?